Devotion art glass collection of mosaics is a union of stained glass, water jet technology and hand cut artistry with a beautiful colour palette to choose from. High end fashion and natural organic shapes inspire the nine patterns and thirty colours that make up this diverse range.Suitable for walls only. 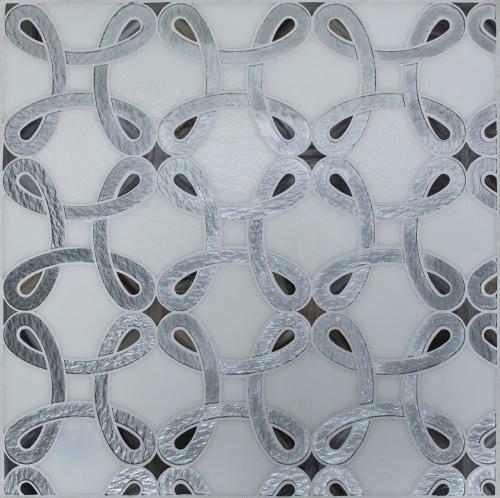 Have a look at our gallery for more great ideas using Oceanside Glass mosaics and field tiles.